Call your sales rep or click the yellow button below to get started. Our expert sales engineers will work with you to identify your unique forklift needs and to find the right financing plan for you. Our delivery truck will bring your forklifts to you, and our aftermarket sales reps and technicians will ensure you get the ongoing support you need. The Bailey Company carries a wide range of new forklifts and material handling equipment from Cat Lift Trucks, Crown, Mitsubishi Forklift Trucks, Hoist, and Jungheinrich. We are confident you will find these lines to be the most reliable, efficient, and well-made products available. 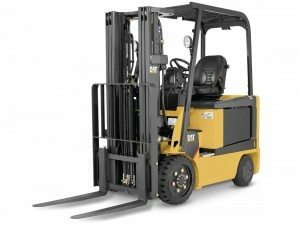 Electric Forklifts: We carry traditional lead acid battery and cutting edge, forward thinking lithium ion battery-powered forklifts from Crown and Jungheinrich. Electric forklifts are more sustainable, operator-friendly, efficient, and cleaner. There easier maintenance and increased efficiency leads to a robust return on investment. Take a look at this conversion calculator. Narrow Aisle Lift Trucks: If you operate in a warehouse setting where space is restricted and storage density maximized, you need narrow aisle forklifts to efficiently run your warehouse. Our narrow aisle forklifts from Crown and Jungheinrich are engineered to optimize your warehouse operations and effectively help operators navigate narrow aisles. 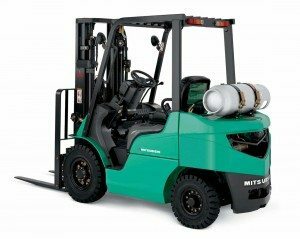 Internal Combustion Forklifts: Our propane gas-powered internal combustion forklifts from Cat, Crown, and Mitsubishi come in smooth cushion tire models for indoor use and rugged pneumatic tire models for outdoor use. We also offer some models with diesel engines. From lumber yards to aluminum processors to carpet warehouses, we have the IC for truck for you. 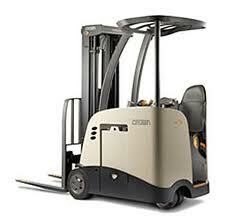 High Capacity Forklifts: We offer high capacity forklifts from Cat and Hoist, the big truck experts. Hoist offers lift trucks ranging from 7 to 57 tons, from heavy-duty cushion tire and pneumatic forklifts to container handlers and reach stackers. All Hoist lift trucks are 100% made in the USA. Check out the monomast reach truck from Crown: RM600S narrow aisle reach truck with the exclusive MonoLift™ mast. Jungheinrich is our newest line of forklifts. Check out their ECR end rider pallet jack, which is made in America.